Families are gathered together in millions of homes to celebrate Christmas. There is plenty of food, laughter, maybe some spirited political arguments and reminiscing about years past. However, for some, amid the joy, a certain heaviness will settle over the group. Without a word, everyone knows how the others are feeling – it’s just not the same this year, and it won’t ever be again.For some, this feeling comes across the room when it’s time to pray – a grandpa who always prayed is no longer with them. Or the grief paralyzes the mom who has to wrap all the presents alone this year. For families like this, holiday celebrations often have a new, conspicuous component – an empty seat at the table.The following steps won’t take the pain away, but they can help the healing process and add meaning to the holidays during a difficult year. Honor their memory. Share stories and speak openly about your loved one who is no longer present. Acknowledge the loss and what it means for your family. Establish a special activity in honor of the person you’ve lost, such as lighting Christmas candles. This will give meaning to your grief and also reflect the love you have as a family. Keep traditions. 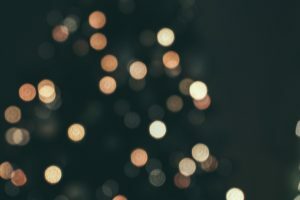 While it may be poignantly different to maintain Christmas traditions this year, keep some of them to provide a thread of connection for your family. Make popcorn balls, sing together, read the Christmas story – that’s what your loved ones would want you to do. Traditions can help keep things glued together. Bless someone. Christmas is all about giving. God gave us the gift of His son, Jesus. Giving is therapeutic. During this holiday season, bless someone in honor of your loved one. As an individual or a family, maybe you could serve at a soup kitchen, volunteer as Salvation Army bell-ringers, invite a friend or acquaintance into your home for Christmas dinner who otherwise would have nowhere else to go, or take gifts to a family whose dad just lost his job. Celebrate the birth of Christ, most importantly. Isaiah 9:6 (NIV) says: “For to us a child is born, to us a son is given, and the government will be on his shoulders. And he will be called Wonderful Counselor, Mighty God, Everlasting Father, Prince of Peace.” We have hope because of the true meaning of Christmas! An empty seat at the table doesn’t mean empty hearts and homes. Even though the holidays can be painful reminders of who’s not at the table, families and individuals can experience real joy by taking time this Christmas season to fondly remember their loved ones, honor their memory, and cherish the special people who are still with us around the table. No one will ever take the place at the table of those we’ve lost, but as time softens the hurt, the holidays will become a time of year when you can enjoy the warm and fond memories of those no longer in our presence.